This shoe was truly love at first site. 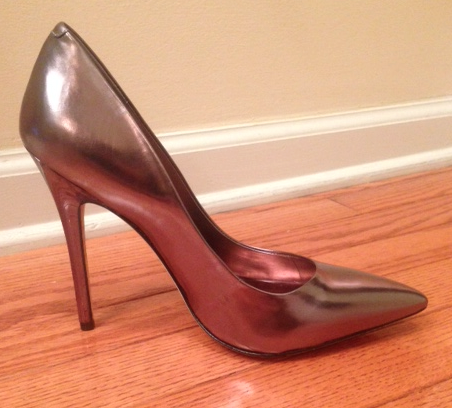 I have been searching for a metallic shoe for quit some time now. All the ones I wanted were either way over budget or too silver. Yesterday, I was browsing the mall and saw the 60% off sale sign in the BCBG window and had to take a peek. As soon as I saw the shoe I knew I had to try them on. Then I found out it was an extra 20% off the marked down price (that’s all I needed to here). The original price was $225.00 marked down to final total of $72.00, Yay me!!! Pictured below is the BCBG photo but in person its more of a gun metal color. 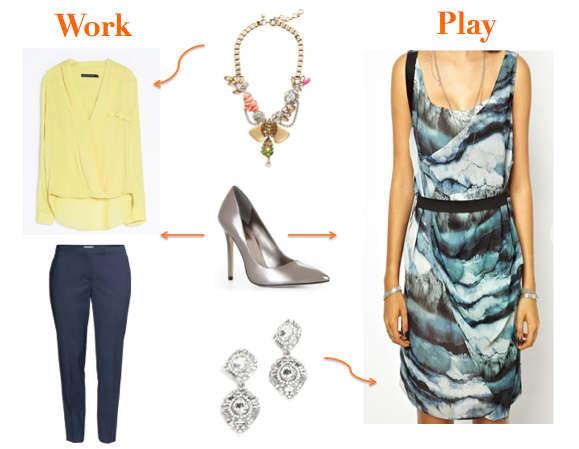 I styled it in two different ways, one for work and one for play. Here is a Picture of the shoes in person. You can see that it’s deeper silver than pictured above. If you love it, get it before its gone on here. Tags: aael, asos, BCBG, clothes, h&m, J.crew, Metallic Pumps, shoes, Style, style, Zara. Bookmark the permalink.